Hello and a very warm welcome. We are The Curry Puff Company. A Malaysian street food, our puffs are a fresh, sumptuous and hot, deep-fried puff pastry snack. The puffs come in 2 flavours. Vegetable (vegetarians/vegans) and Lamb (carnivores). The vegetable puffs have a Thai curry filling with sweet potato, butternut squash, lime juice, lemon grass and of course lashings of creamy coconut milk. The lamb puffs have a Madras style to them, packed with goodies like spinach, onion and potato. We use fresh spices in all our puffs. Our passion and enjoyment of food runs through every aspect of our business. Street food we feel should be a fun as well as delicious, new and exciting. 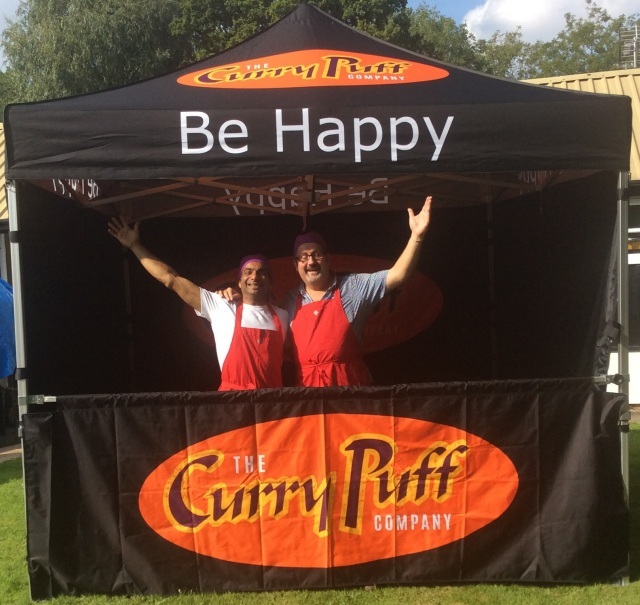 Our puffs have gone down a storm at various recent events including the Debenham Street Fair and A village Affair (at Debenham Leisure Centre). We use local suppliers for our vegetables and meat and we boast a Five Star Food Standards Agency Rating. We look forward to tantalising your taste buds.